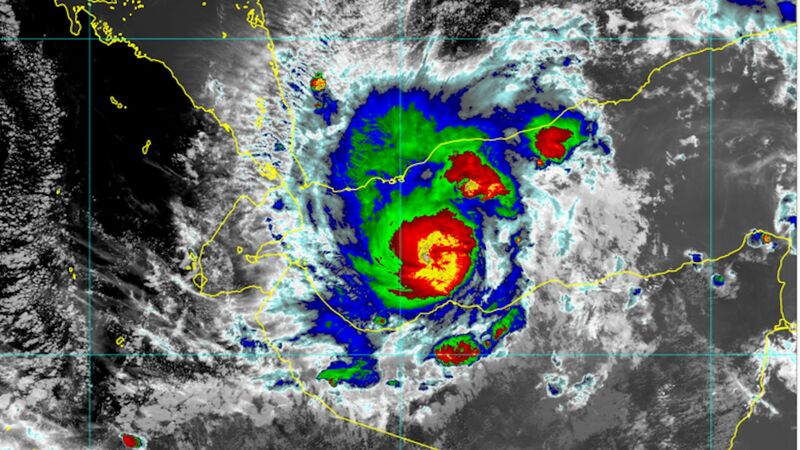 Tropical Cyclone Sagar is taking a path that few storms have taken before, as the compact storm draws on energy from the Gulf of Aden. Forecasts call for Tropical Sagar to make landfall between Somalia and Djibouti on Friday night, eastern time. Humanitarian concerns: Somalia is still in the midst of unrest, and U.S. military forces operate there and in neighboring Djibouti, where most of America's African counterterrorism operations are based. This storm threatens to dump a year's worth of rain in just one or two days, causing flooding that may displace thousands of people, depending on the exact landfall location. This is not normal: Only a handful of tropical cyclones (a catchall term for tropical storms and hurricanes) have taken this path and survived by threading the needle between the Arabian Desert and the desert of eastern Africa, each of which could stifle such a storm. Be smart: Cyclone Sagar has survived by staying over water and remaining a small storm with a tight core of powerful thunderstorms. When it makes landfall, it's forecast to be close to hurricane intensity, though some computer models show it may grow even stronger.